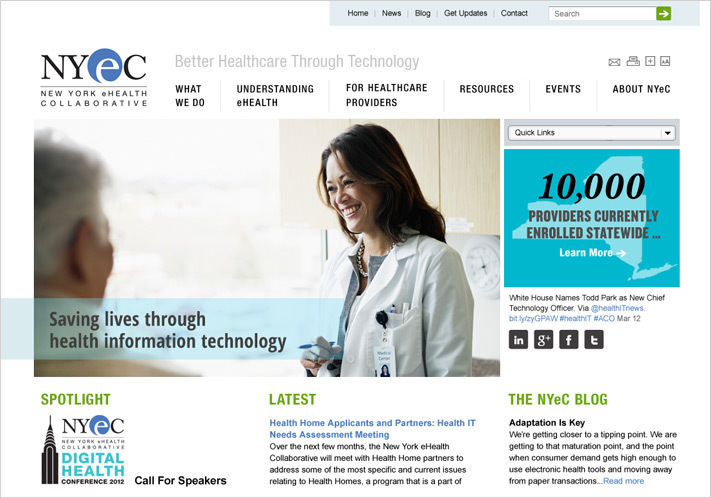 New York eHealth Collaborative (NYeC) is a public-private partnership that serves as a focal point for health care stakeholders to build consensus on state health IT policy priorities, and to collaborate on state and regional health IT implementation efforts. 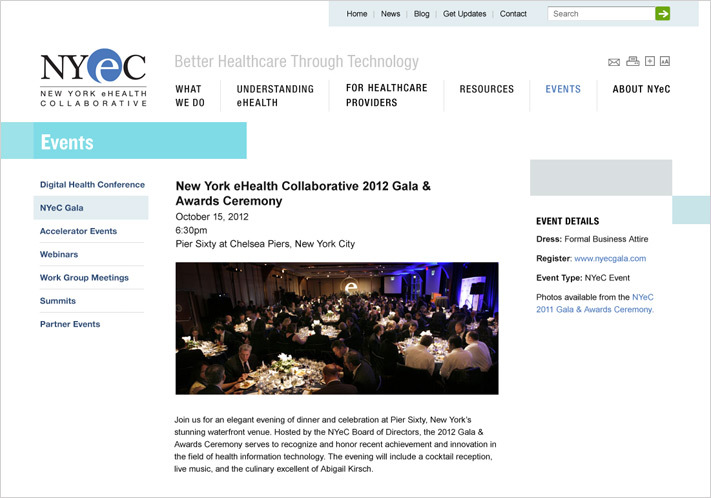 Its goal is ambitious – to revolutionize healthcare in New York. 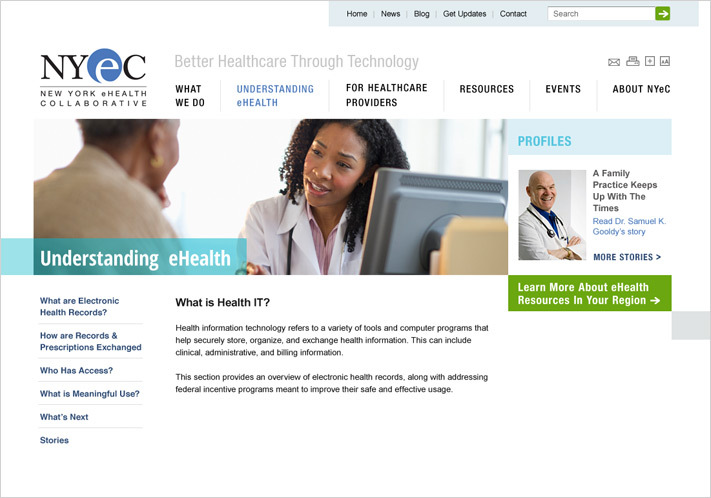 NYeC hired Cabengo to develop a digital strategy that would help them express their complex spectrum of activities to a broad demographic. Cabengo interviewed stakeholders and subject matter experts within the organization to clarify and prioritize audiences, define business goals, and establish success metrics. 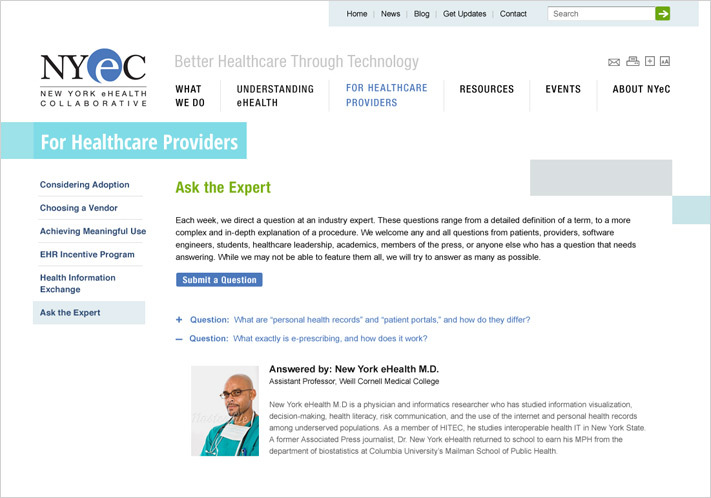 We interviewed a range of users, from patients and providers to IT vendors, policymakers, and regional networks, to define user needs. We also reviewed competitor and best practice sites to for opportunities and inspiration. From this initial research, we defined a clear digital strategy for the organization that aligned user needs with stakeholder expectations. With strategy in hand, we gathered requirements and developed the site architecture. 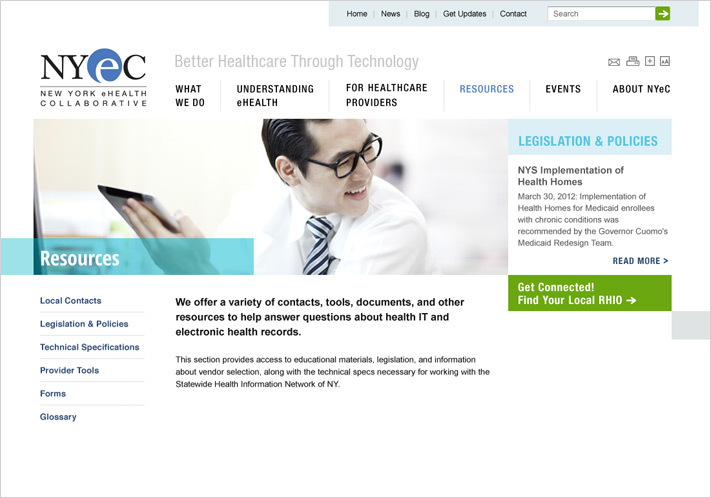 Concurrently, we worked with the NYeC team to define site informatics, developing controlled vocabularies and keywords to improve site searchability and automate cross-linking of related content within the site. Using a responsive web design framework, we created a clean, contemporary interface that scales gracefully to tablet and mobile screen displays. 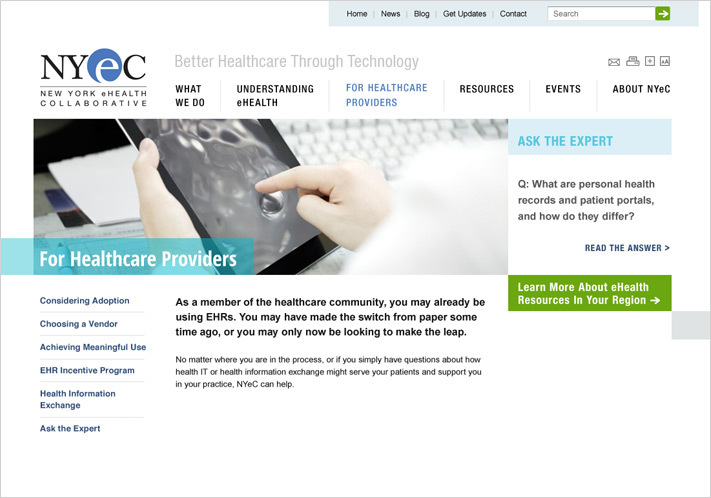 We built the site using WordPress CMS and trained internal staff on CMS administration.